Call 702-462-9200 for a bail bond quote or to have any question answered for free. My name is Marc Gabriel and I am a fully licensed bail bondsman by the NV Department of Insurance that is authorized to conduct bail bonds services at any of the Las Vegas, North Las Vegas and Henderson courts and jails. I understand that having a friend or loved one just arrested is a very stressful situation and you do not know what to do next. Give me a call right now and I can answer all your questions 702-462-9200. The following information should answer most of your questions however if you need immediate answers call 702-462-9200 right now. Paying only 15% is the cheapest and fastest option to get your friend or loved one out of any area jail. You would hire a reputable and professional Las Vegas bail bondsman to handle this transaction for you. The 15% fee you have to pay of the full bail amount is required per NV Law NRS 697.300. That means that all bail bondsman have to charge 15% and if they charge more or less they are breaking the law. That’s why it is important to choose and hire the right bondsman. How to hire the right bail bondsman? Is the bail bondsman or company licensed? There are a lot of unlicensed and “overnight” companies that pop up out of no-where and disappear just as fast. Where is the bail companies location? Are they in a run-down looking office in a scary part of downtown? Most of bail companies look just like the way people imagine and that should be an immediate red flag in not dealing with such an outfit. Is the staff courteous and professional and dressed appropriate? You want to do business with people that look and act professional. Most staff in bail offices run around in T-shirts and dirty jeans and some even have guns strapped on their side. In selecting a reputable and reliable Las Vegas bail bondsman you need to take all these things in consideration since they will all add up to confirm your suspicion of either dealing with a shady or legitimate company. eBAIL is my Bail Bond Company and is also fully licensed by the NV Department of Insurance and authorized to perform bail bond services in the greater Las Vegas area. We are also accredited with an A rating by the Better Business Bureau and a member of the NFIB. My staff is professional, friendly and confidential. In your immediate need for a bail bond why settle for any other bondsman or run-down-looking office. Come to our beautiful office at 3100 E. Charleston Suite 108, right on the corner of Charleston and Mojave. We are also the only company that offers ONLINE BAIL BONDS in 3 minutes or less. Call 702-462-9200 right now, 24/7 for help. You will be happy you did. I guarantee it. Call 702-462-9200 to get a free quote on a Bail Bond. Our friendly staff will make you feel comfortable by explaining all your options as well as the bonding process. Don’t just choose any Bail Bond Company. eBAIL is BBB accredited and it’s owner and Bail Bondsman Marc Gabriel is authorized to post Bail in all the Courts and Jails in the Las Vegas, North Las Vegas and Henderson area. The best Attorneys in Las Vegas trust in eBAIL’s sense of urgency, professionalism and confidentiality. They know that eBAIL, its staff and owner, Bail Bondsman Marc Gabriel can be reached 24 hours for immediate Bail Bonds. Call right now 702-462-9200 or Bail Online in 3 minutes or less. eBAIL, credible through accreditation, trusted through experience, clearly the attorneys choice! Don’t gamble on your need for a Bail Bondsman on just anybody in a run-down office in a scary, dark downtown area. The Bail Bond Fee that you have to pay is regulated by NV Law (NRS697.300) at 15% of the Bail Amount, no more and no less! 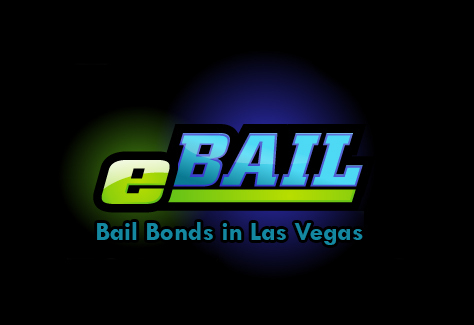 eBAIL is your clear choice as your Bail Bondsman in Las Vegas. Call us right now at 702-462-9200 or Bail Online in 3 minutes or less from any computer or mobile device. You can also visit our beautiful office that is surrounded by flowers and trees at 3100 E. Charleston Suite 108, right at the corner of Mojave Street. You will be happy you chose eBAIL, guaranteed!